If you’re a typical designer or web developer, you probably have a large font collection. Having a sizable number of fonts can make finding the ideal font for a project a grueling effort, akin to a needle in a haystack scenario. However, there are several free applications that can help you find, categorize, tag, preview, and install/uninstall your fonts. In this article, you’ll find 10 free applications that will help your better manage your font collection. 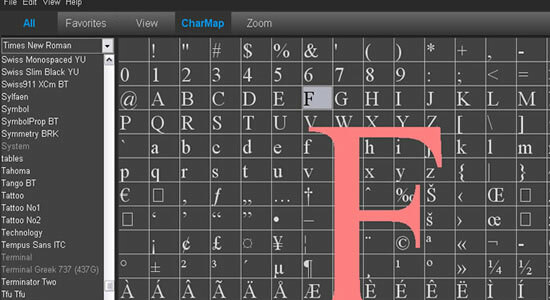 myFontbook is a free web application for organizing your installed fonts. It allows you to tag your fonts by keyword and gives you the ability to rate them so that you can quickly, making it easier to see your favorites. It has a pane for previewing fonts to help you in your font choices. 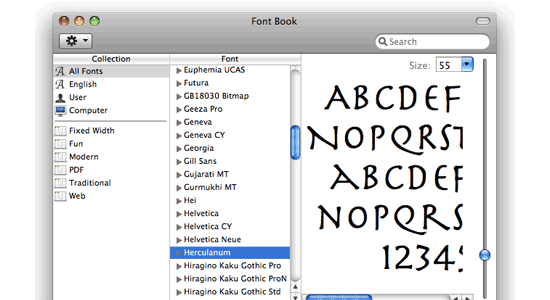 Font Book comes pre-installed in Apple computers and is a solid tool to use for font management if you’re an owner of a Mac. It has an intuitive and user-friendly interface, a trademark of Mac apps, and it has amazing font/organization features. Fontmatrix is an open source font manager for Linux users; though it was recently made to work with the Windows OS as well. It is a great font management tool for power users, and is ideally suited for developers who can take advantage of the script console to extend and customize the application. 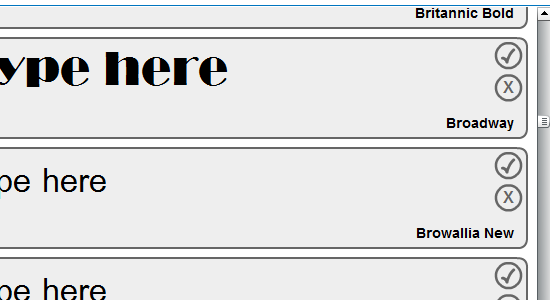 Displays meta information about a font such as designer, copyright info, etc. Font Picker is a free Adobe AIR desktop application that lets you manage and view your font collection. It’s simple and straightforward and can run in any operating system that can run the Adobe AIR framework. It also has a web-based version so that will search your machine for installed fonts. 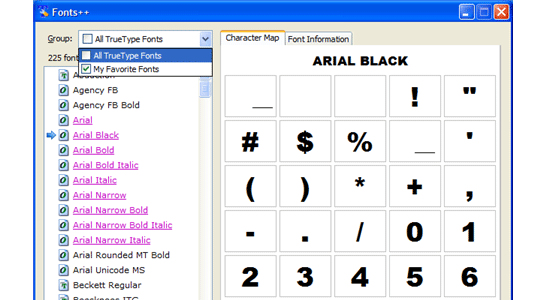 sFont is a free Windows font management tool that has a uncomplicated interface. Organize your font collection by tagging certain fonts as favorites. Quickly find TrueType or non-TrueType fonts using the Filter feature. 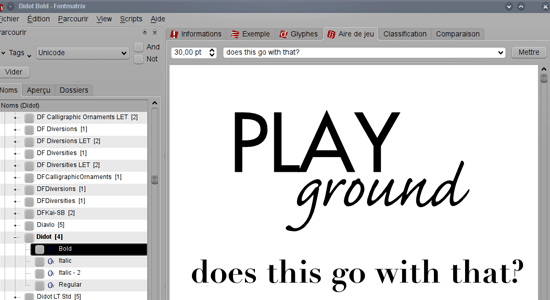 You can review your fonts in a variety of ways including the ability to change the background and foreground colors. FindThatFont is a simple and free tool for preview and categorize all the fonts installed in your system. You can organize fonts within the 30 categories that the application has. There’s also an extensibility featured called Extension manager for developers who’d like to customize how FindThatFont! works. Cfont Pro allows you to preview fonts even before you install them, a helpful feature if you have a external hard drive or portable media device that has fonts. It has proof sheets in case you want to print out fonts for reviewing purposes. 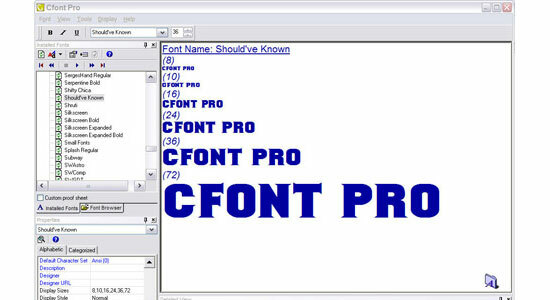 The property viewer displays a ton of information about your fonts. 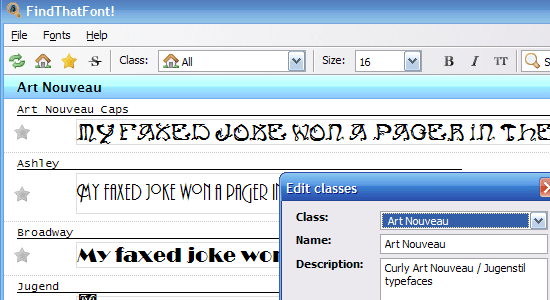 Font Xplorer is a popular freeware desktop application for managing your font collection. It has a filtering feature so that you can hone in on specific types of fonts. Unfortunately, it doesn’t support Adobe Type 1, OpenType fonts with PostScript outlines, which may be a deal breaker for some designers. 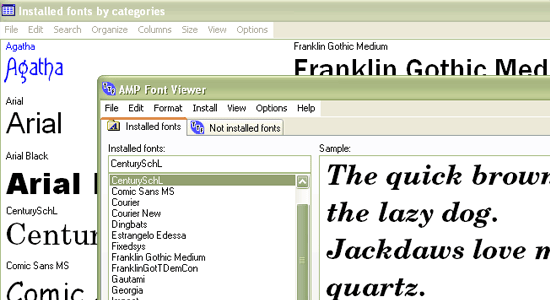 AMP Font Viewer is an easy to use but robust font manager for Windows. It has support for a wide variety of font formats such as TrueType, OpenType, and Type1 fonts. 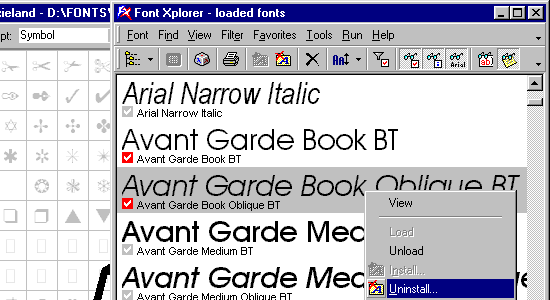 It allows you to easily install multiple fonts, as well as removing installed fonts. 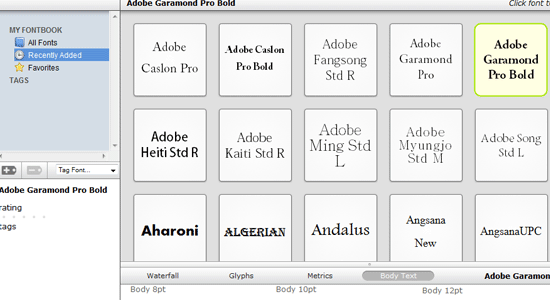 There are several options for categorizing your font collection, which will help you tame your massive font collection.